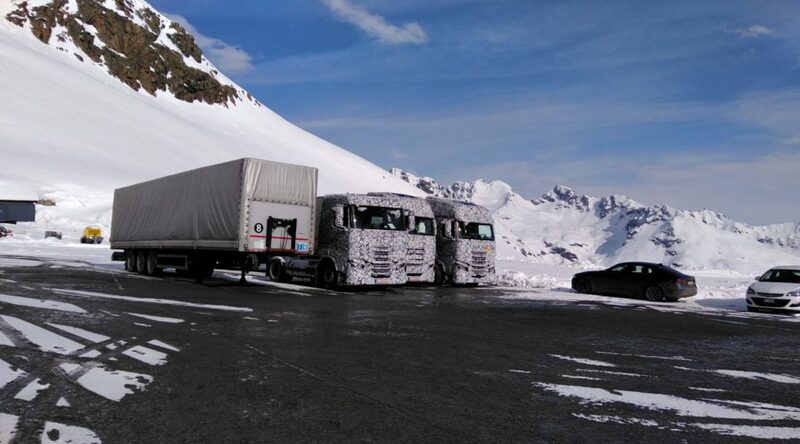 These photo’s of heavy camouflaged Iveco trucks were taken on the Kaunertaler Gletscherstraße in Austria. 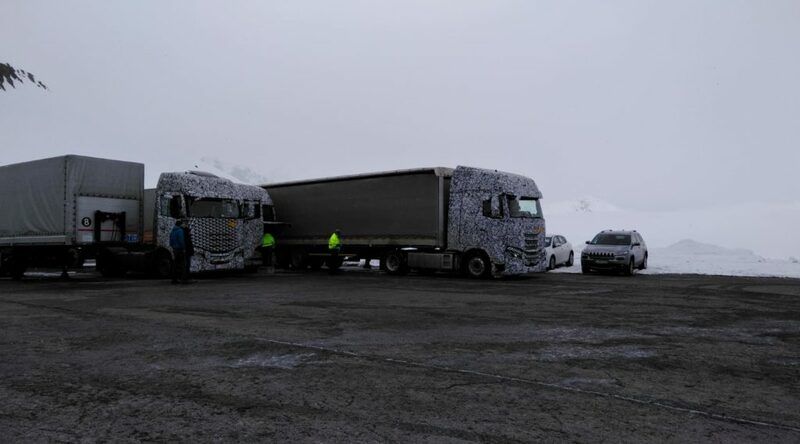 Iveco is testing the next generation there. Interesting is the low roof version of the new truck. We did not see this one before. ← Next Iveco soon to come? !